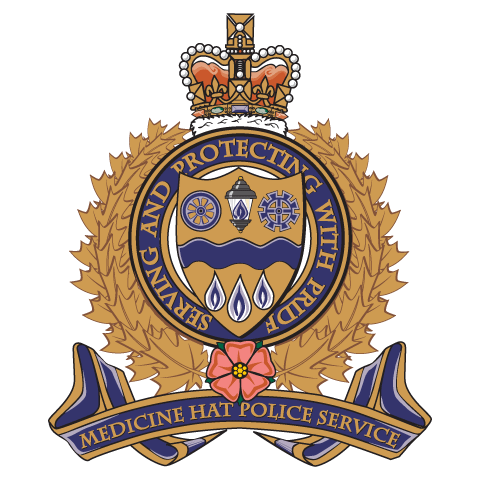 The Medicine Hat Police Service has initiated an electronic ticketing pilot program for traffic related offences. The new process utilizes card scan and printing technology mounted in the police officer’s vehicle that will automatically populate driver’s licence and vehicle information into the ticket, as well as details about the offence including; fine amounts, court appearance and payment due dates. It is anticipated that the new system will speed up the ticketing process and decrease the number of tickets cancelled due to administrative errors. Additional staff efficiencies will be realized as clerical staff will no longer be required to manually enter ticket information into various record management systems and can be redeployed to other areas of responsibility. The appearance of the e-ticket will closely resemble those issued by specialized traffic enforcement, but without a photo attached, and will enhance legibility of the offender’s copy. The police copy, including the issuing officer’s notes, will be saved in electronic form, (as opposed to paper files), providing cost savings and a reduction in our environmental impact. The pilot project will run for approximately one month and will involve four members of the MHPS Traffic Unit, who will test the new technology and provide feedback to the MHPS Information Technology Section to ensure that the program meets operational requirements. Upon completion of the pilot, it is expected that the program will be rolled out to the remainder of MHPS’s fleet within the second quarter of 2019. The total cost of the program is $55,000, which includes both software and hardware costs for full deployment to 20 vehicles. The MHPS issues approximately 10,000 officer-generated ticket annually.